Farmers and contractors who visit the OPICO stand, [working plot 121], at the Grassland & Muck Event will be able to see in action: the new 6.3m HE-VA Sward Rejuvenator, an OPICO Sward Lifter, and two Strautmann forage wagons. Farmers will also have the chance to win a 10 acre reseed by bringing a sample of fresh grass for analysis. 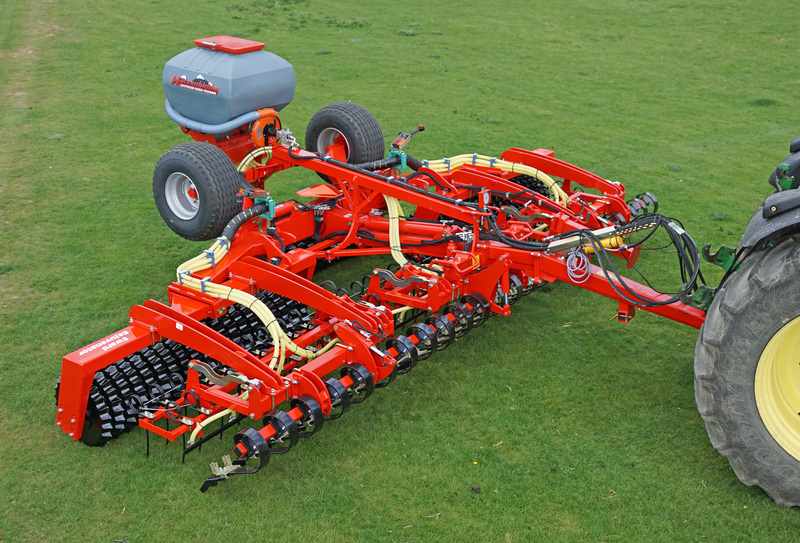 Plus there will be free advice available on soil management, and a Strautmann diet feeder – a 2401 Double Verti-Mix – will be on display. 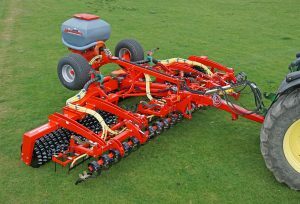 On the grass plot, the newly launched 6.3m HE-VA Sward Rejuvenator will be shown over-seeding the existing ley to boost its productivity; the Sward-lifter’s ability to remove soil compaction will be demonstrated and advice on soil management given by soil advisory company Sustainable Soil Management (SSM). Two Strautmann forage wagons: the Super Vitesse and Giga Vitesse will also be demonstrated. Farmers who bring a sample of fresh grass from their best ley will have the opportunity to enter a competition to have 10 acres of ground reseeded for free. A nutritional analysis of the grass sample will be made on-the-spot using Limagrain’s NIRS mobile testing machine. The sample with the highest metabolisable energy (ME) content will win. The prize includes expert soil advice from SSM, seed from Limagrain, and seeding of the 10 acres supplied by OPICO; it is estimated to be worth up to £1,500. Photocaption: Demonstrations of over-seeding using the new 6.3m HE-VA Sward Rejuvenator will be taking place on the OPICO stand, working plot 121, Bus Stop 5. James Woolway, OPICO Ltd. Tel: 01778 421111.